FLAVOR is back. 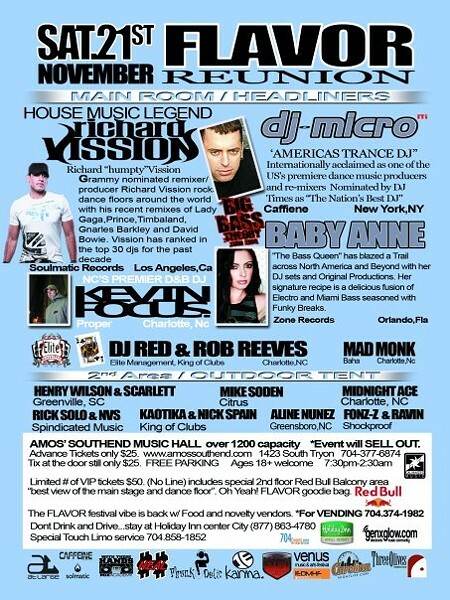 It has now been 10 years since the first FLAVOR party at Tremont Hall back in 1999. The attendance record still stands today at over 2,600 people. The FLAVOR party events feature international DJs and live electronic music. Amos will be transformed into a high-energy dance club with visuals, lasers, and specialty lighting, Food and novelty vendors will be onsite. There will be two areas of sound for artist to perform and party goers to dance. * Location: Amos South End Music Hall. * Tickets are only $25.